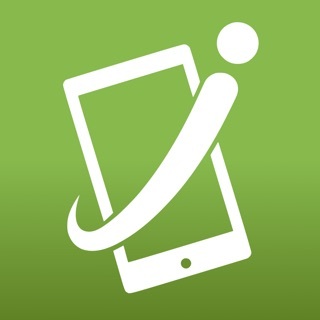 iGIS - The world's first and leading iOS GIS. True GIS functionality is now available on the iPhone! Your iPhone. Your data. Your maps. iGIS represents a new era in mobile GIS solutions by enabling users to load, view, investigate, create and export their own data over a background of map service imagery. Importing data is easy with our unique data import facility using the USB cable or wirelessly on your Mac, PC and Linux. Raster data in many formats (pre-processing required) and ESRI Shapefiles (.shp) are supported at the moment. Your spatial data is stored on the iPhone, so there’s no need for an Internet connection to see your data – great for field work. We also support over 3000 projections, so no need for re-projection. We include support for multiple layers of points, lines, and polygons – all styled as you like. Imagery layers too in V5. Add comments to your maps - A point layer is added with a name and description field. Add and edit your own layers, via the map display and customisable data entry forms. Export your layers to ESRI shapefiles for use back in your enterprise. - Great speed, using our multi-threaded map renderer. - Support for large datasets. - Import and export of ESRI Shapefiles. This application is designed for GIS professionals and an understanding of some basic GIS concepts such as layers, shapefiles, projections etc, would make using iGIS simpler. Please let us know if concepts in iGIS are unclear. I've been loving the app and have bragged about its versatility. I use it everyday, all day in my work truck doing field work and in the office. All of my apple devices have it. My primary device is my 4th gen iPad with cellular. The app crashed frequently, especially when changing data settings. That was ok because I knew the update was coming. The phone version made me really excited because of the new map gestures and google maps. However the iPad app has been very frustrating. Constant crashing, lethargic map loading, and the failure of the zoom scale have plagued my device. The phone app has not crashed as often and is faster on the map loading. However the zoom scale is still dead. Hope you guys get this fixed! A little heads up on future fixes would be nice! I really like this application. The engine interface is quite easy to use and the import routine works well. Our custom aerials (< gig) and line-work load seamless and look great. The app will crash at times, however I've had a problem with several apps doing the same. I attribute to the hardware. Would love to see better waypoint navigation on the fly as switching from pan to edit gets a bit frustrating. Would also like to be able to use hyperlinks for photos and PDF type files, I think the current os is limiting this app. A windows based tablet would probably grant the ability for multiple apps or widgets to be open in the background. Great app, I've enjoyed it.